I'm incredibly excited to welcome Jordon Furnell from Life is Better Messy Anyway to the blog today. She's a wonderful, wonderful person who will make you better for just being in her midst. Jordon's joy and zeal for life are contagious, and I think that's evident by her Need Read Greed choices. Why don't you take a look? 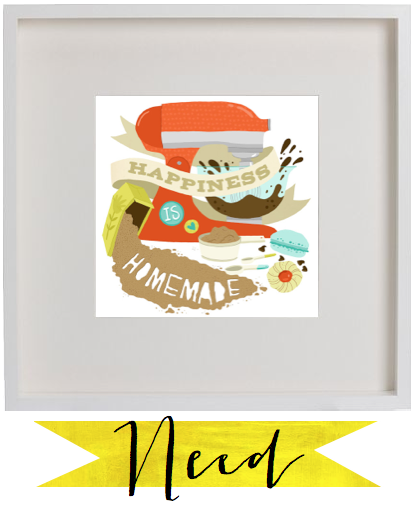 Need: While I'll admit that 90 percent of the time I have no idea what I'm doing in the kitchen, I still believe that this print would find pure happiness hanging on my wall. My creations may not be as pretty as I imagined or taste just like I planned, but it's all a learning experience for me. Someday I'll figure it out... someday! Read: My book club is a group of incredible women, and I love spending our monthly visits dishing about the latest book pick and life in general. This book has been on my digital bookshelf for months just waiting for me to tear into to it. 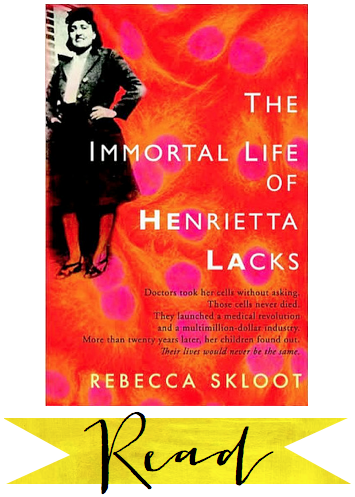 In short, the story is about a woman, Henrietta, who was one of the most influential and important tools of medicine but never lived to know anything about it. Plus, many do not even know about her existence. I don't want to give too much away... You should be reading this book too! 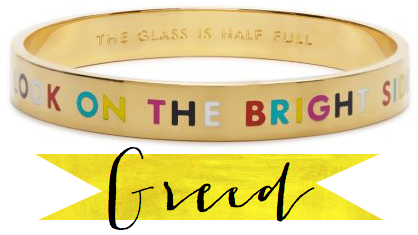 Greed: I pride myself on being an optimistic gal, and this bracelet would be the perfect addition to my wrist everyday. What a precious and simple reminder of how life should be viewed daily. Thanks for sharing, Jordon! I'm pretty sure the crafty folks at Kate Spade designed that bangle about you.